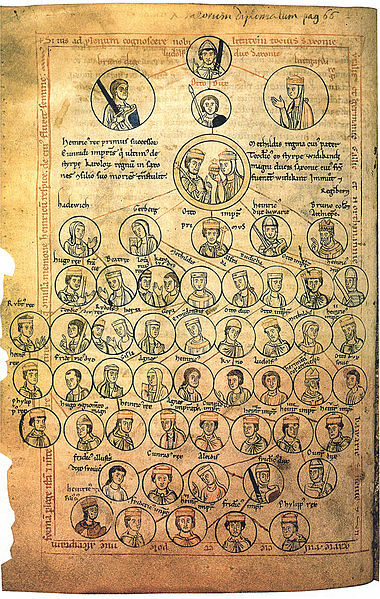 The Ottonian dynasty (German: Ottonen) was a Saxon dynasty of German monarchs (919–1024), named after three of its kings and Holy Roman Emperors named Otto, especially its first Emperor Otto I. It is also known as the Saxon dynasty after the family’s origin in the German stem duchy of Saxony. The family itself is also sometimes known as the Liudolfings (Liudolfinger), after its earliest known member Count Liudolf (d. 866) and one of its primary leading-names. The Ottonian rulers were successors of the Germanic king Conrad I who was the only Germanic king to rule in East Francia after the Carolingian dynasty and before this dynasty. Liudolf already held the high social position of a Saxon dux, documented by the marriage of his daughter Liutgard with Louis the Younger, son of the Carolingian king Louis the German in 869. 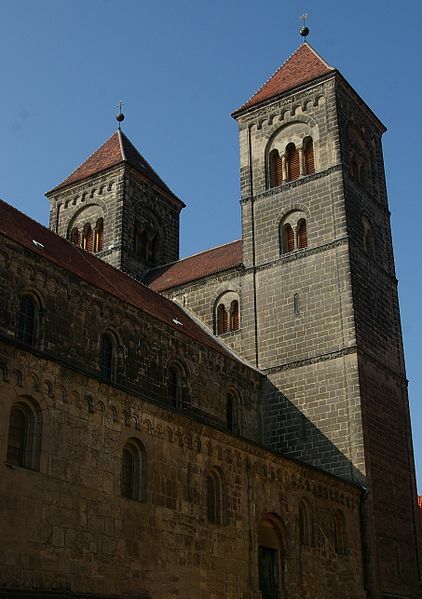 Liudolf’s sons Bruno and Otto the Illustrious ruled over large parts of Saxon Eastphalia, moreover, Otto acted as lay abbot of the Imperial abbey of Hersfeld with large estates in Thuringia. He married Hedwiga, a daughter of the Babenberg duke Henry of Franconia. Otto possibly accompanied King Arnulf on his 894 campaign to Italy; the marriage of his daughter Oda with Zwentibold, Arnulf’s illegitimate son, documents the efforts of the Carolingian ruler to win the mighty Saxon dynasty over as an ally. According to the Saxon chronicler Widukind of Corvey, Otto upon the death of the last Carolingian king Louis the Child in 911 was already a candidate for the East Frankish crown, which however passed to the Franconian duke Conrad I. Upon Otto’s death in 912, his son Henry the Fowler succeeded him as Duke of Saxony. Henry had married Matilda of Ringelheim, a descendant of the legendary Saxon ruler Widukind and heiress to extended estates in Westphalia. Although never Emperor, Henry the Fowler was arguably the founder of the imperial dynasty. While East Francia under the rule of the last Carolingian kings was ravaged by Hungarian invasions, he was chosen to be primus inter pares among the German dukes. Elected Rex Francorum in May 919, Henry abandoned the claim to dominate the whole disintegrating Carolingian Empire and, unlike his predecessor Conrad I, succeeded in gaining the support of the Franconian, Bavarian, Swabian and Lotharingian dukes. In 933 he led a German army to victory over the Hungarian forces at the Battle of Riade and campaigned both the land of the Polabian Slavs and the Duchy of Bohemia. Because he had assimilated so much power through his conquest, he was able to transfer power to his second son Otto I.
Otto I, Duke of Saxony upon the death of his father in 936, was elected king within a few weeks. He continued the work of unifying all of the German tribes into a single kingdom, greatly expanding the powers of the king at the expense of the aristocracy. Through strategic marriages and personal appointments, he installed members of his own family to the kingdom’s most important duchies. This, however, did not prevent his relatives from entering into civil war: both Otto’s brother Duke Henry of Bavaria and his son Duke Liudolf of Swabia revolted against his rule. Otto was able to suppress their uprisings, in consequence, the various dukes, who had previously been co-equals with the king, were reduced into royal subjects under the king’s authority. His decisive victory over the Magyars at the Battle of Lechfeld in 955 ended the Hungarian invasions of Europe and secured his hold over his kingdom. The defeat of the pagan Magyars earned King Otto the reputation as the savior of Christendom and the epithet “the Great”. He transformed the Church in Germany into a kind of proprietary church and major royal power base to which he donated charity and for the creation of which his family was responsible. By 961, Otto had conquered the Kingdom of Italy, which was a troublesome inheritance that none wanted, and extended his kingdom’s borders to the north, east, and south. In control of much of central and southern Europe, the patronage of Otto and his immediate successors caused a limited cultural renaissance of the arts and architecture. He confirmed the 754 Donation of Pepin and, with recourse to the concept of translatio imperii in succession of Charlemagne, proceeded to Rome to have himself crowned Holy Roman Emperor by Pope John XII in 962. He even reached a settlement with the Byzantine emperor John I Tzimiskes by marrying his son and heir Otto II to John’s niece Theophanu. 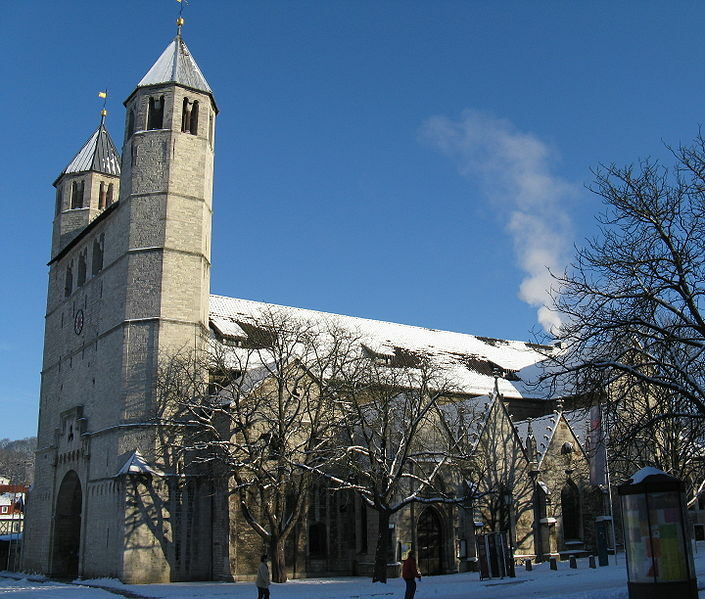 In 968 he established the Archbishopric of Magdeburg at his long-time residence. Co-ruler with his father since 961 and crowned emperor in 967, Otto II ascended the throne at the age of 18. By excluding the Bavarian line of Ottonians from the line of succession, he strengthened Imperial authority and secured his own son’s succession to the Imperial throne. During his reign, Otto II attempted to annex the whole of Italy into the Empire, bringing him into conflict with the Byzantine emperor and with the Saracens of the Fatimid Caliphate. His campaign against the Saracens ended in 982 with a disastrous defeat at the Battle of Stilo. Moreover, in 983 Otto II experienced a Great Slav Rising against his rule. Otto II died in 983 at the age of 28 after a ten-year reign. 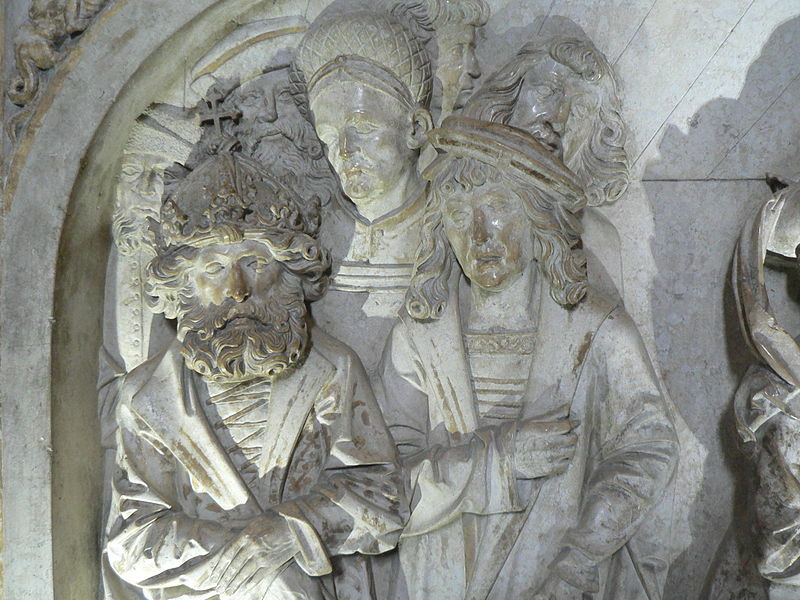 Succeeded by his three-year-old son Otto III as king, his sudden death plunged the Ottonian dynasty into crisis. During her regency for Otto III, the Byzantine princess Theophanu abandoned her late husband’s imperialistic policy and devoted herself entirely to furthering her own agenda in Italy. The childless Otto III was succeeded by Henry II, a son of Duke Henry II of Bavaria and his wife Gisela of Burgundy, thereby a member of the Bavarian line of the Ottonians. Duke of Bavaria since 995, he was crowned king on 7 June 1002. Henry II spent the first years of his rule consolidating his political power on the borders of the German kingdom. He waged several campaigns against Bolesław I of Poland and then moved successfully to Italy where he was crowned emperor by Pope Benedict VIII on 14 February 1014. He reinforced his rule by endowing and founding numerous dioceses, such as the Bishopric of Bamberg in 1007, intertwining the secular and ecclesiastical authority over the Empire. Henry II was canonised by Pope Eugene III in 1146. World monarchies and dynasties. Middleton, John,. London. Bachrach, David (2011). “Early Ottonian Warfare: The Perspective from Corvey”. Journal of Military History: 393–409. Karl Leyser, “Ottonian Government” The English Historical Review 96.381 (October 1981), pp 721–753. 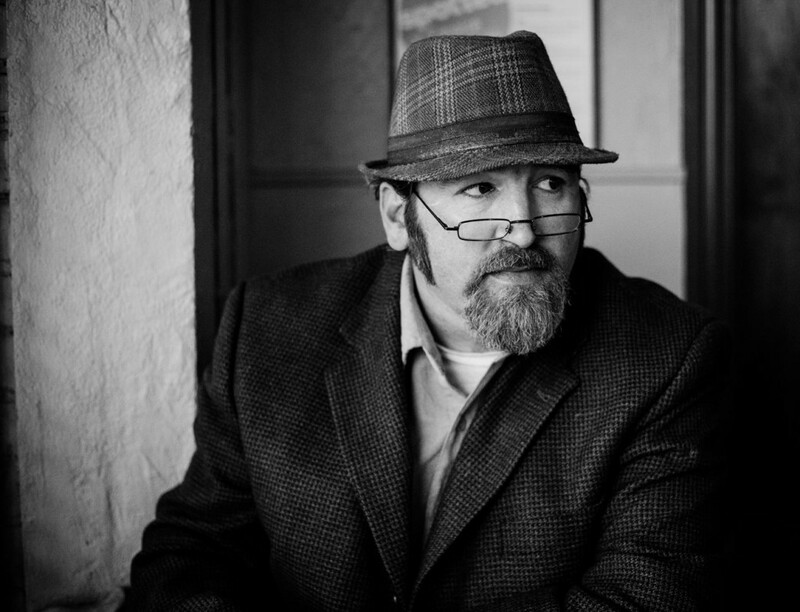 Bachrach, D. S. (2011). Early Ottonian Warfare: The Perspective from Corvey. Journal of Military History, 75(2), 393-409. Leyser, K., & American Council of Learned Societies. (1979). Rule and conflict in an early medieval society Ottonian Saxony (ACLS Humanities E-Book). London: Arnold. Originally published by Wikipedia, 02.24.2019, under a Creative Commons Attribution-ShareAlike 3.0 Unported license. This entry was posted in Uncategorized and tagged Carolingian, History, Medieval, Middle Ages, Ottonian. Bookmark the permalink.